April is Oral Cancer Awareness month. A time meant to bring awareness to one of the deadliest forms of cancer and the ways dentists play a vital role in preventing it. Oral health is connected to overall health, making the mouth a gateway to knowing whether or not your patient is healthy and safe from disease. The month of April marks Oral Cancer Awareness month, a major push for awareness on a form of cancer that an estimated 53,000 people will be diagnosed with this year alone. And an estimated 10,860 of those diagnosed will die of oral cancer. This is why organizations such as the Oral Cancer Foundation, are pushing for more dentists to make screening for oral cancer a regular part of any dentist visit. They are also hoping to not only make dentists aware of the seriousness of oral cancer, and the part they play in preventing it, but make patients aware of its seriousness as well. Repeated studies have shown that oral health has a strong connection to overall health. So much so, that poor dental hygiene is a possible risk factor of oral cancer as much as smoking or tobacco use is. Research also shows that harmful bacteria and inflammation in the mouth can indicate and even cause systemic conditions throughout the body. Maladies of the mouth, including periodontal disease, may be linked with other medical conditions including oral cancer, cardiovascular disease, diabetes, Alzheimer’s disease, rheumatoid arthritis, and more. Other risk factors for oral cancer include, a family history of oral cancer, tobacco use, alcohol use, patients with Human Papilloma Virus, advanced age (most cases are diagnosed over the age of 40), and gender, as men are twice as likely to get oral cancer. Oral cancer itself can present on the cheeks, lips, tongue, hard and soft palate, floor of the mouth, sinuses, and pharynx, and can sometimes be visible to the naked eye after a simple examination. Other symptoms that dentists can look out for include mouth sores that do not heal, white or reddish patches inside the mouth, one or several growths in the mouth, one or more loose teeth, pain in the mouth and ears, and difficulty swallowing. 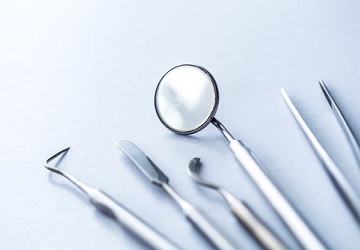 Technology has changed the foundation of healthcare forever, and while dentistry is only starting to catch on, there are new tools for dentists to use in the detection of oral cancer. For instance, VELscope® Vx Enhanced Oral Assessment System is a handheld scope that uses natural tissue fluorescence to enable clinicians to visualize oral mucosal abnormalities before patients are able to see or feel them. This device also allows dentists to capture the images on their phone and send them with ease. With oral cancer threatening thousands of patients it’s more important than ever to stay educated on oral cancers and how to prevent and detect them, as well as making sure your patients are educated on their own role in preventing oral cancer. Stay on top of your patients’ routine dental visits and make oral cancer screenings a regular part of your care plan. For more practice management news and advice read on here!